Allows the user to orient the valve clamp, pressure gauge and fill line independently. 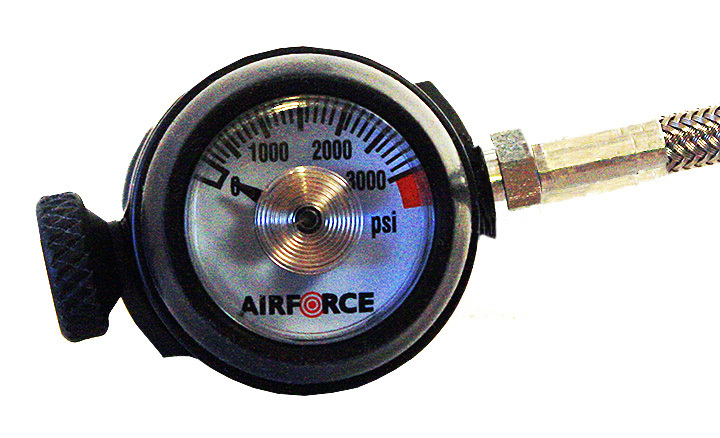 It allows the scuba cylinder to be positioned vertically or horizontally and still enables easy access to the fill line or to view the pressure gauge. After filling the fill line can be rotated close to the scuba cylinder for storage or transport. This adapter is equiped with a quick connect female adapter factory installed on the end of the hose.